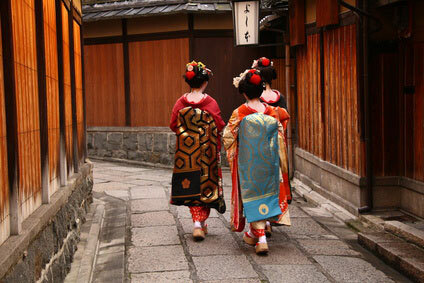 The Kiso Valley is located in the mountainous region between Nagoya and Matsumoto. The road along the Kiso river was the central section of the 500 km long Nakasendō (中山道) a.k.a. 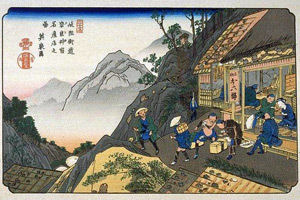 Kisokaidō (木曾街道), one of the five routes connecting Edo (modern-day Tokyo) to Kyōto during the Tokugawa shōgunate (1603-1867). 69 post stations developed along the Nakasendō, among which eleven were on the 70 km stretch of the Kisoji (木曽路), the route section in the Kiso valley. 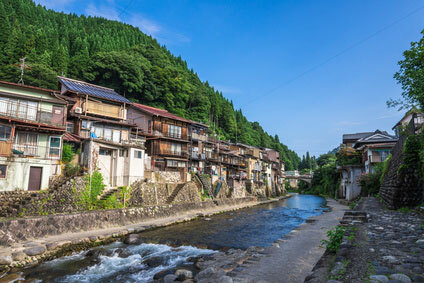 A trip to the Kiso Valley is a journey back in time, where delightful wooden towns are preserved almost intact, with their waki-honjin (traditional luxury inns), sake and handicrafts shops, all tucked in between majestic mountains and spinkled with gushing streams and bamboo groves. 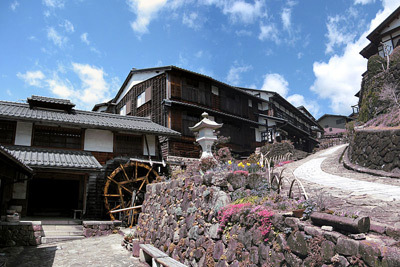 Four post towns have managed to safeguard this idyllic bygone atmosphere : Narai, Tsumago and Magome. each town but the latter have a shiryokan (small museum) showing historical documents and items. None are remarkable, but they help immerse oneself in the atmosphere of the Edo or Meiji period. The region's culinary specialties are soba (Japanese buckwheat noodles), gohei mochi (rice cake grilled with miso sauce), and kuri kinton (mashed sweet potato with sweet chestnuts). 40 km south-west of Matsumoto, Narai-shuku (shuku means "post station") is a hidden jewel of traditional Japanese architecture. Lying at the foor of Mount Torii-toge (1,197 m), Narai is now a long street of cypress houses attached to the Narakawa village. 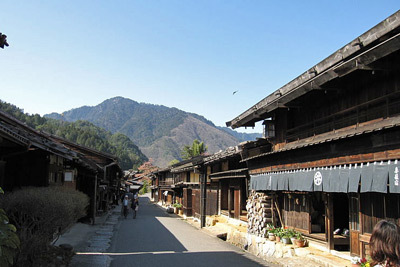 Narai was the richest post town in the Kiso Valley. It is renowned for its fine laquerware, magemono (round objects made of bent cypress wood), and exquisitely crafted combs. 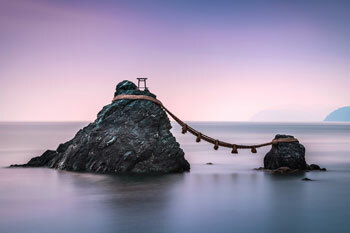 Narai is officially part of Shiojiri city, in Nagano prefecture. Two kilometres north of Narai, Kiso-Hirasawa is not an old shuku, but it is a good place to shop for lacquerware nonetheless. 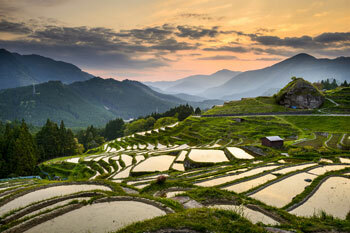 Lower in the valley, Tsumago lies 2 km south of the town of Nagiso, west of Mount Nagiso. 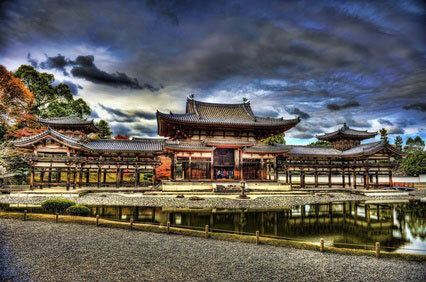 It is the best preserved of the Kiso towns. Contrarily to Narai, motor vehicles are not allowed in town to keep the historical integrity of the place. Neon signs, electric lines, TV aerials and other conspicuous signs of modernity have also been banned, something quite exceptional for Japan. Many houses are not inhabited and can be entered freely. The Kōtoku-ji Temple and Kabuto Kannon Shrine stand out from the row of houses, but are otherwise unexceptional. 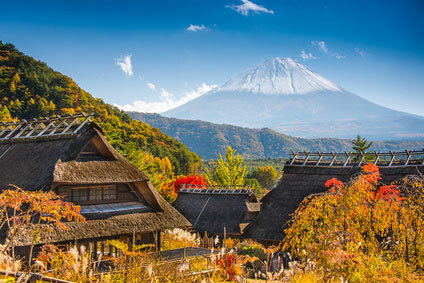 The ruins of the castle, up in the hills, offer sensational views on Tsumago-juku and Midono-juku and the valley. Magome is similar in many ways to nearby Tsumago. Some claim that it is the most authentic of the three towns. Most of the houses were built in the mid-1700s and the main street is all in cobblestone. 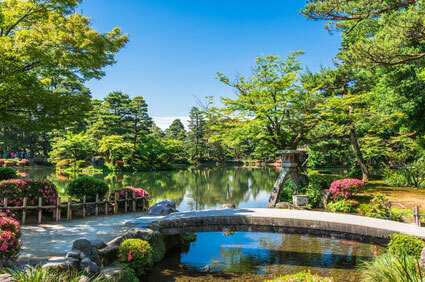 It is also the greenest thanks to its gardens and superb mountain views. Magome was the hometown of Shimazaki Tōson (1872-1943), a major Japanese writer and poet of the early 20th century, especially famous as the author of Before the Dawn (1935). A part of the old Nakasendō highway still exists between Tsumago and Magome. It is now called the Tsumago-Magome Walking Trail. The 3 km stroll is easy, pleasant and highly recommended. The JR Chuo Line between Nagoya and Nagano passes through the Kiso valley. You should get off at different stations to reach each post town. Narai has its own station. To reach Tsumago alight at Nagiso (南木曽) and catch a city bus (7 min, ￥300 one-way) from there. For Magome, access from Nakatsugawa (中津川) is the faster option. Kitaena operates 14 buses/day in each direction between Nakatsugawa station and Magome (25 min, ￥540 one-way). Be advised that only local trains stop at Narai, Nagiso or Nakatsugawa. If you are coming by limited express train from Tokyo (JR Shinjuku station), Nagano or Matsumoto, change to a local train at Shiojiri (塩尻). The journey to Shiojiri takes 2h30min from Shinjuku (￥3,900 + seat supplement), 1h40min from Nagano (￥1,300) and just 17 min from Matsumoto (￥230). 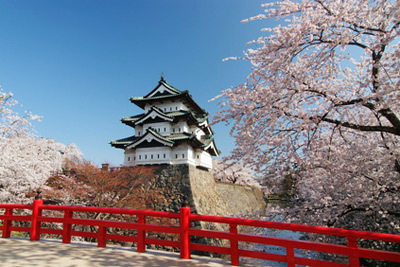 If you are coming from Nagoya, transfer at Kiso-Fukushima (木曽福島 - 1h20min from Nagoya ; ￥2,200).